Three people were killed when this truck ran into the Pella Walmart store. 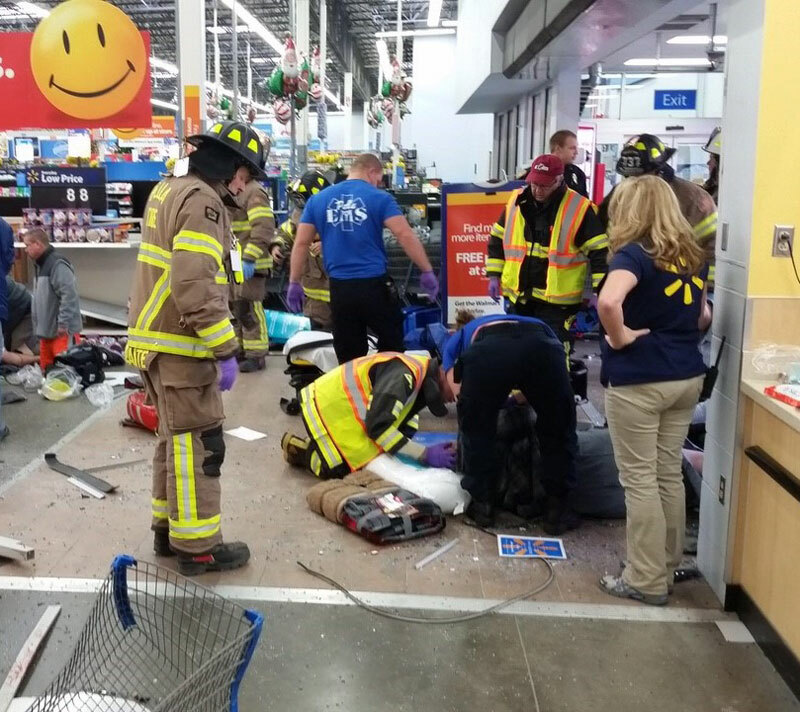 Three people died and two were injured in an accident this morning at the Walmart store in Pella. 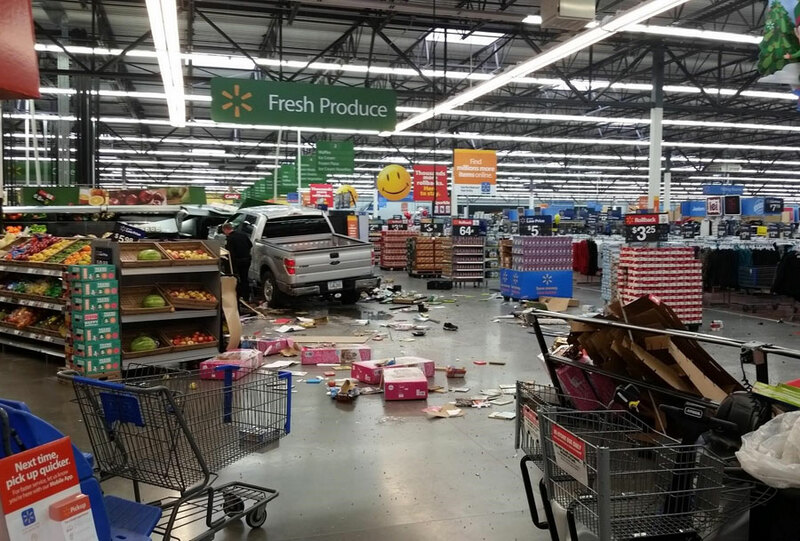 Sergeant Nathan Ludwig of the Iowa State Patrol say there was a 911 made at 9:54 this morning about a Ford pickup that had entered the market and pharmacy entrance of the Walmart. He doesn’t know much more about the people who died in the store. He says they were customers or workers and right now he doesn’t have any names or ages, but hopes to have that later Thursday. Firefighters tend to a victim in the store. Ludwig says they are not yet sure what happened.”We don’t know that at this time — it’s under investigation. At this time we don’t believe that it is an intentional act, like I say, at this time it is under investigation,” according to Ludwig. Ludwig says the store is closed as investigators try to determine what happened. Jim Frank an employee of the Pella Walmart was an eyewitness to the accident. “I had just walked through this area — probably not five seconds later — I heard a terrible big bang. It was almost like a shot went out and it was like a train was coming through the store. 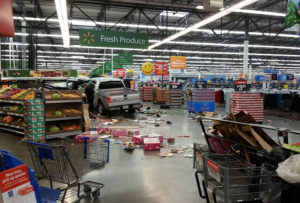 There was a silver flash, there was a pickup that came through the entrance to Walmart, and there was debris everywhere,” Frank says. Frank says several employees were trying to process what had happened. “It was something just like a horror picture, it happened so fast. It was just a pickup came right through the front door,” Frank says. He did not know any more about the victims of the accident.